Childrens Music Box from the UK's leading music box supplier, The Music Box Shop. 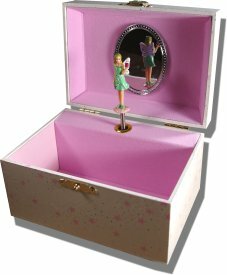 uk, music boxes, jewellery boxes, music box gifts, childrens music boxes, carousels, Reuge music boxes, girls jewellery boxes. 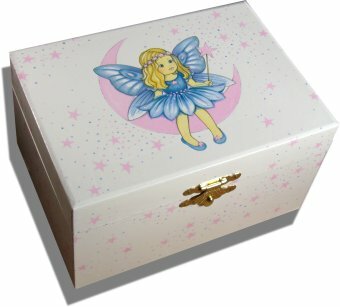 A pretty musical jewellery box with a little angel centred in a pink crescent moon on the music box lid, surrounded by pink stars. When the lid is lifted the tiny figurine 'pops' up and revolves to the music. The music box plays the tune 'The Entertainer'.